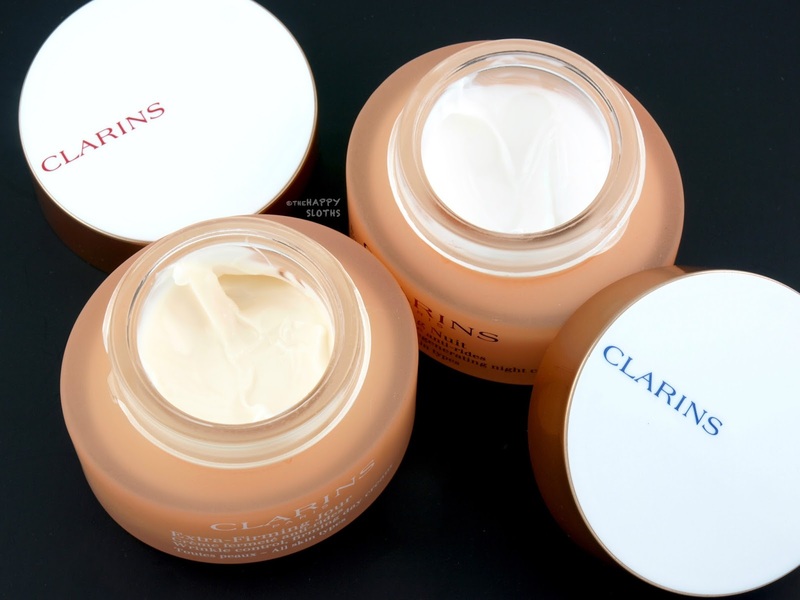 Housed in almost identical frosty orange glass jars, the Clarins Extra-Firming face cream duo is designed to target various signs of aging to help the skin appear firmer and plumper. Both are available in two formulation, one for all skin types and the other for dry skin. Infused with mitracarpus extract and kangaroo flower extract, the Extra-Firming Day Cream increases the skin's youthful appearance by reinforcing the skin's regeneration capacity and maintaining the number of fibroblasts that produce collagen and elastic fibers. Made with shea butter, the day cream also contains oat sugars (for a smoother-looking skin), and the extracts of desert date and acerola (for a boost of radiance). The day cream appears slightly peach-colored in the jar and has a very rich but lightweight formulation. Although containing some silicone, it's not heavy or textured. It keeps the skin hydrated all day without feeling or looking shiny and greasy. Like the day cream, the Extra-Firming Night Cream contains extracts of mitracarpus and kangaroo flower. Additionally, it is infused with extracts of hydrated silica moonstone, which increases fibroblast activity, optimizing the skin's nighttime regeneration process. The formulation has a slightly thicker texture but it's also lightweight and non-greasy. It applies very smoothly and feels instantly hydrating and nourishing. Like the day cream, the night cream has a soft floral scent thanks with notes of camelia and rose. Since I don't have any visible wrinkles, I can't attest to the cream's anti-aging properties but with the regular use of both, I've noticed a fuller, plumper complexion that's well-hydrated and more radiant in appearance. 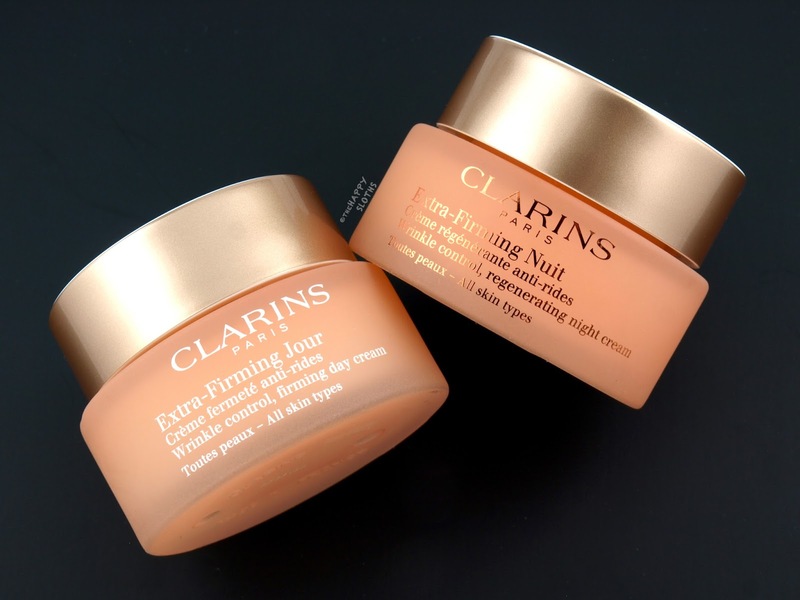 Overall, this day and night duo reminds me a lot of Clarins' Multi-Active Night and Day Creams (reviewed here) released in 2017, both in terms of texture and result. So of you are looking for a no-fuss and effective face cream duo designed for aging skin, then definitely check these out! 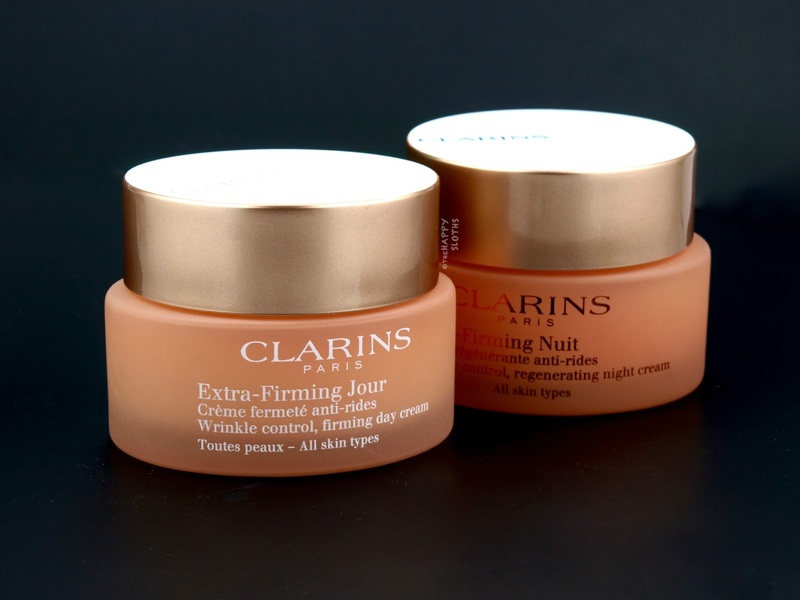 Clarins is available at select department stores, pharmacies and online at www.clarins.ca.